There are many genealogy search websites for you to discover your ancestors. Here in this MyHeritage review I will show you how this site will help you along your genealogy journey. If you want to learn more then please read on. I have a lot to cover so this may take a while. What is the MyHeritage site? This powerful genealogy search website was brought to the public way back in 2003. The site has been helping countless people from all over the world to trace their family history ever since. The service that this site provides is supported in 42 languages! The company behind the site is based in Israel and has their headquarters in Or Yehuda. They also have another office in the Israeli city of Tel Aviv, besides two in the United States. One is in Lehi, Utah while the other is in Burbank, California. Tons of records and members! As with any genealogy site you can imagine that they have many records at their disposal for you to access. Billions of records in fact! And you are also able to create your very own family tree right on their site. So as you find new pieces of information about your ancestors you can immediately plug it into your tree. The MyHeritage community has presently 94 million users which thus far have created 40 million family trees. As you can imagine with this number of people you can surely get the help that you are after from fellow members. And finally, the low price MyHeritage DNA testing kit that is offered has proved very popular with its members, as well as any one else who is interested in their ancestry. I have already briefly discussed what MyHeritage has to offer but let’s just look a little closer shall we? Before I do continue though I must point out that all of the services that are offered can be accessed via tablet, mobile or desktop. So, you keep on researching your ancestry no matter where you are. And you can sync between the different devices! Currently the number of records that are available is 8.2 billion. The records that you will find amongst the collection include birth, marriage and death certificates, census records, military and immigration documentation, and yearbooks. Besides these billions of records you can also view historical newspapers to help you with your genealogy research. Within the SuperSearch feature you will find all the records that I have listed above. Also available within this feature are the family trees, photos, videos and documents posted by other members. MyHeritage members that have set their privacy to public can also be searched for through this feature, as well as the family sites that they have created. So, basically this feature is a search for everything and anything that is stored on the site. Please note: Some records can be accessed for free but most will required a paid subscription in order to access them. All of the major genealogy search websites will provide a family tree builder feature. It pretty much comes as standard these days. It’s free to start using this feature. You begin by adding your first and last name, followed by your email address and your year of birth. Then add your parents full names to get started. There’s no need to worry if you have created your family tree elsewhere as you can easily upload a GEDCOM file to the site. To make your family tree more visual you can upload photos of your ancestors. So, you can put a face to the information that you have about the person in your tree. And to make the process of researching your family tree easier you are able to view charts and produce statistics as well. MyHeritage uses a number of matching technology to help you find your ancestors and information about them. Smart Matching – Get further information about your ancestor by cross-referencing the details that you have in your family tree with other members trees. Record Matching – Similar to Smart Matching but this feature looks at the historical records within members trees in order to join the dots. Record Detective – Will help you to find other historical records featuring your ancestors based on what records that you have within your family tree. It can also use trees to make these connections as well. Instant Discoveries – This feature can potentially create a new branch of your family tree instantly by checking information found within other family trees and records. Global Name Translation – Can help you to find your ancestors records in their mother language. Search Connect – This will index search queries and be able to connect you with others who have performed similar searches. This is only available for the top tier of members at MyHeritage, those who have joined the Premium Plus subscription package. This feature will show all the information that you have entered for a person, together with their family, all in chronological order. This feature will help you to identify any missing gaps of knowledge about your ancestor. It is therefore a great way that you can glean more information to put into your family tree. If you do wish to print out the timebook for your ancestor then you will need to pay an additional fee. The price will depend on the paper size that you have selected. Popular with genealogists is the desire to get their DNA tested to further their genealogy research. And you will be pleased to know that MyHeritage also offers this service. Originally this site did provide a free service. As you can imagine though with so much on offer from this company they had to make it a paid site. It is free to join but in order to access full genealogical records and newspapers to help you with your family history journey you will need to pay a subscription. Snippets or excerpts of records can be viewed freely but the full versions are only accessible for the paid members. There are a couple of limitations for the free user of this site when it comes to the family tree builder feature. Cannot confirm relationships between members of MyHeritage. Cannot contact other members of the site. Access all collections, be able to confirm/reject record matches, and save/extract information from the records as well. Check out the site for free first! I would suggest before you do part with your money to first check out the site for free. Signing up to MyHeritage costs nothing, but there will be limitations with this subscription. But at least you will have an idea of what is on offer with this site. And also you will become familiar with the layout of the site and how to use the included features. Then when you are happy with the service provided then you can opt with any one of the above subscription packages. Do bare in mind that the prices that I have listed above are per month but each of the 3 subscription packages are annually billed. You may only be interested with connecting with other members of the site and viewing their sites, (Premium package). But if you want to gain the full potential of this site, (at under $2 more per month), then this option will really help you to propel your genealogy research. At least that’s my opinion! Complete Plan Subscription Package – Special Plan & Offer! I am pleased to announce that there is a 4th subscription package called the Complete Plan. This subscription package has everything that MyHeritage has to offer you. 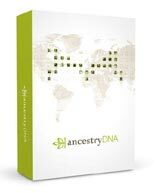 Genealogy Guide readers can check out this plan on a 14-day free trial. When that period ends you would normally have to pay $20.89. However, I am pleased to announced that through this site you can get a 52% saving on this price. Yes, that’s right when the free trial period has ended you will pay just $9.95 a month. So, you can get full access to MyHeritage features and collections at more than half the normal price. To be able to start using this site and searching for your ancestors you will need to create a tree. All you need to do to start on your family history journey is to enter what you know. And that is your details as well as your parents full names. You will need to select a plan type and add your billing details as well. After that you will be sent a confirmation email where you will be provided with a link to create your password and complete the registration process. You can then start finding records about your ancestors and build your family tree. If you upgrade or make any purchases MyHeritage will call you from an automated system. This is a security feature that I really like about the site. I did mention in the previous section that you can start using the MyHeritage site for free. But I just wanted to make it clear to you what exactly you can do for free on this site here. 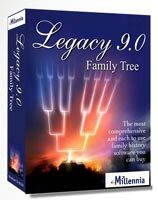 You will be able to create a basic site for free on this genealogy website. But there will be a limit to the number of people that you can store in your tree. There is currently a limit of 250 of people in a family tree and storage space is topped at 500MB. This means that you may not be able to store within your free tree every record and photo that you find about your ancestor due to this restriction. So, it does mean that you will need to consider upgrading to a paid subscription if/when your family tree exceeds 250 ancestors. And also whether you want to view all collections within the SuperSearch feature. No one likes to get stuck while they are researching their family tree. You can well into researching a particular family member only to be bamboozled by a feature or unsure how to proceed. That is why MyHeritage offer a number of ways for you to get the help and support that you need. To help get the advice that you are looking for the Help Center is divided into 7 sections. Subscriptions & Payments – Learn the differences between the different subscriptions for the site, as well as what backup service is availabe. Family Site – Learn how to create charts and books, upload photos to your family tree and more. Family Tree Builder – Learn how to start and build your family tree, export your tree and more besides. MyHeritage App – Just what is the mobile app and how it can help you. Discoveries & Research – Learn all about the different research features that are included on the site. DNA – Learn how MyHeritage DNA testing can help further your genealogy research. Accounts & Settings – Everything else that regards your account and settings as well. Whether you want to call them forums or message boards they are very much the same. From here you will get help and support from not only the staff at MyHeritage but also other members as well. Important Information – If you want any of your urgent queries to be answered immediately then this section is for you. Mobile App – Get help and support with the mobile app for this site. Family Site – Get advice on the creation of your family site. Family Tree Builder – Get support with the family tree builder feature. Research – Learn how best to research your ancestors using the SuperSearch feature of the site. Accounts – Your membership and subscription queries will be answered here. Posters, Charts, Reports – Learn how to create posters, charts and reports. And also get help if you have a problem. Product Suggestions – Get involved and help make MyHeritage better with your own ideas and suggestions. Discoveries – Share your discoveries from using this site within this section. FAQ – Always worth checking the Frequently Asked Questions section. When you visit the Contact Us section of the site you will be first pointed towards the Help Center section. If you have already been there and have not find what you were looking for then you can easily call MyHeritage toll-free. So far there are 17 different countries that are listed with a telephone number and what times that you can call. I must say that MyHeritage does rank along with the other great genealogy search websites, (Ancestry and FindMyPast included). It does give you everything that you want from such a site. You can create a family tree for free using this site. And if you have already created a site elsewhere it doesn’t matter as you can easily upload your tree to the site and carry on with your research. You can also tap into the 8 billion or so genealogical records that are stored within their collections. There are of course limitations as to what you can access depending on your level of access. Give it a try first! I do though suggest that you at least try it out for free to get a feel for the site. But once you are happy with it then definitely Premium Plus is worth the money in my opinion. You want value for money and this option ticks all the boxes for me. You want to get as much information as you possibly can right? So why would you want to limit the amount of information that you can access? Doesn’t sound right does it? Plus, the smart matching technologies that are incorporated into the site makes the searching process not only easier for you but also you can find a ton of information that will greatly help discover as much about your ancestors as possible. So, do I recommend MyHeritage? Yes, I do recommend MyHeritage. This site will definitely help you discover your ancestors and possibly connect with your distant cousins. Can Help You A Lot! So much available to you, right here! I hope you enjoyed this post reviewing the MyHeritage site and what it has to offer. If you have any questions or comments then please leave a comment below. Find A Grave Website Review! Is a Premium Plus subscription required for each DNA test? For example, if my wife and I each have a DNA test, do we need two Premium Plus Subscriptions to build our trees? Thank you for your query. It would make it a lot easier if you did have two subscriptions. The reason I say this is because of the potential of DNA matches. If your wife has a match and has her own tree then she can easily compare where this other person fits in. This would not be so easy if say her tree and your tree were combined on your account. If you’re not fussed about matches then this one subscription would be fine. However, every time she is analyzing her DNA and needs do some research on her tree then she will need to log out and log in as you on your shared account. It does get complicated, and sorry if I haven’t been too clear. It’s just easier with two subscriptions in my opinion, but whatever works best for you. My daughter had her DNA test done. My DNA is 87% Irish, Husband German Scotch. Daughters came back at 3% Irish and 97% British? How could that be? That does seem a bit odd. I would have expected a bit more of a balance there. As you may know we take 50% DNA from our parents, 25% from our grandparents and so on. But it could be from her test that she is getting 97% British from your husband. I suspect thought that there could be a problem with the sample that was used to test her DNA against. As Britain and Ireland are neighbours there would have been some immigration between them and there could be some errors due to this. The sample is a collection of people with unique heritage, i.e. roots coming from a particular region. There could therefore be a problem with the sample that was used as their heritage may not be unique. I would suggest that you download your raw DNA data and upload it to GEDmatch which is a free site where you can upload your results and get various kinds of results. I’m sorry that I couldn’t give you a clearer answer but I hope that you get some answers from GEDmatch. Hopefully in the future more results will come from the DNA testing company that you chose. Your Heritage Review is certainly packed with very value information. This is a very great review outline. I believe your’s is the second one I encountered. But this one is in-depth. Your subscription price is ok. I am sure share your link to others that may be interested. Thanks for the invitation to use your service. Thank you Louisa for your positive feedback. I am glad that I have set out what I intended with this post. Thanks also for sharing this review. It is greatly appreciated. This is a great review. 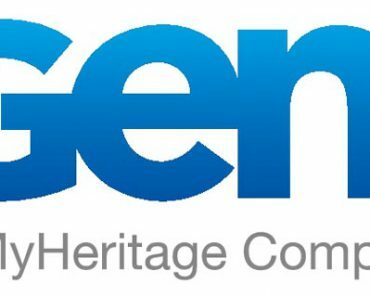 I have looked at many companies like this but have not heard of My Heritage. I like the fact that they offer so many languages. This will be appealing to lots of people. Their price is very reasonable also. I have found some of these sites to charge way more and not have as many historical records available. 8.2 Billion records says a lot about this company. I have always wanted to dive more into my background as it relates to distant relatives and I really think I have found a site that I am willing to try with confidence thanks to your review. I am glad that you like the review Nate. There is certainly a lot of records here that are at an affordable price. And not only are there so many records for youto search through but also millions of family trees as well. And the community here is pretty awesome as well. I am sure that you will be able to further your genealogy research with MyHeritage. I have been tracing my family tree for the post 10 years and your review of MY Heritage is packed with a lot of detail. I am based in England and i am wondering if My Heritage caters for genealogy in My side of the world. If so i would definitely look into it to see if it benefits me. Thanks for your query Andrew. MyHeritage is geared towards the United States market. You could try either or FindMyPast. These two do have dedicated U.K. sites. If you haven’t already heard please check out my Genes Reunited UK Review. This site is based in the U.K. and will definitely help you. Great review. I do not know very much about research genealogy but I am definitely interested in learning more. I have not heard of this site previously, but I am going to check it out, the free subscription anyways to get started. Thanks again for the great review. You’re welcome Patricia, glad that you liked the review. MyHeritage can certainly help anyone trace their family history. Yes try it out for free and see what it can offer you before you take out a paid subscription.